Getting your book from concept to publication. ~ Layout information and promotion tips. Quick note: This post focuses on finding a local printer, I won't be covering online or office supply businesses. 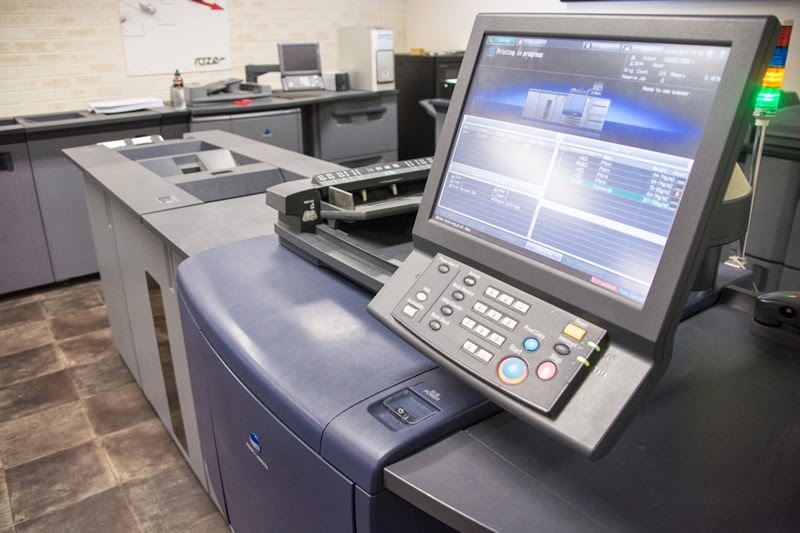 There are two types of printers that print books, traditional printing (also called offset printing) and digital printing. Depending on the quantity you want printed you will find a large difference in quote price. You may also find, depending on the physical size of your book, some printers won't be able to print it. Traditional printing is done by a huge press, like the type you see printing newspapers. It can print larger books but has a longer set up time so smaller quantities will be quite expensive per book. Generally they won't print less than 500 copies on a traditional press, and it becomes more cost effective once you print 1000 or more. Digital printing is done with a large computerised printer. It's slightly more limited in the physical size it can print, for example an A4 size book bound on the short side; so it is A4 size but landscape orientated; is too wide to print, however A4 size bound on the long side; making it A4 portrait; is fine (I'll go into more detail of this in a later blog post). As digital printers don't have a long setup like traditional press, it's a lot cheaper per book if you want a smaller quantity printed. They should also be happy to quote if you want less than 500, including, 20 50, 100, 200 etc. A lot of people assume that digital printing is a desktop printed connected to a computer, but as you can see in the photos below, they're a lot larger than that! This may vary depending which country or state you're in, but here are some things I've found when getting quotes. - Digital printing is generally cheaper per book until you get to about 2000-3000 copies, then it evens out to be roughly the same. 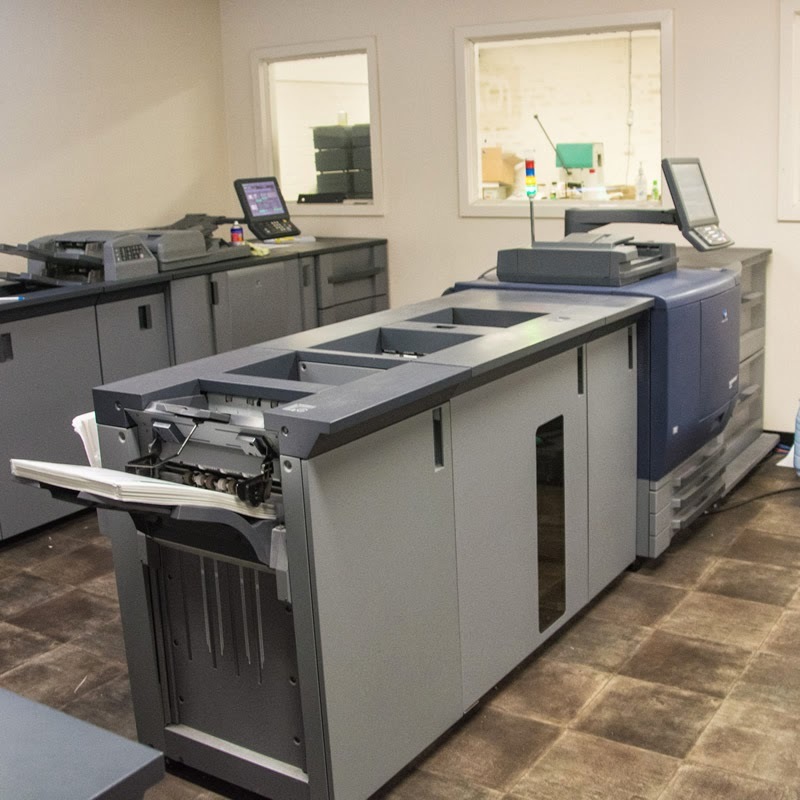 - A lot of traditional printers also have digital printing capabilities, and will quote you based on which system can print your book at the most cost effective price. Thank you to M4Media whose photos I've used, and Razer Graphix who let us take photos of their digital press. great information thank you Joy. What is the cost of printing about 500 copies? There are a few things that vary the price; how many pages you have, how it's bound (sprial bound, staples, glue), if it's colour or greyscale, what size it is etc. I'll send you an email and see which book you're thinking about getting printed and am happy to get a quote for you. This blog has reviews, tips and behind the scenes information on what I'm working on at FeralArt, where I work on book layout for Community groups and organisations. Joy has built websites for 10 years, helped sole traders get their businesses up and running, been a newspaper editor and organised book layouts for self publishers and organisations such as history groups and the RSL.